Larus is a traditional Dutch Super Kaagkruiser built in 1967. She benefits from a very large rear cockpit beautifully finished in teak and mahogany, capable of comfortably seating 8 or 9 people. The large cover over this area can be removed in the sunshine or left in place in inclement weather. There is also a smaller saloon area containing a small table and seating for 6 or 7 people. 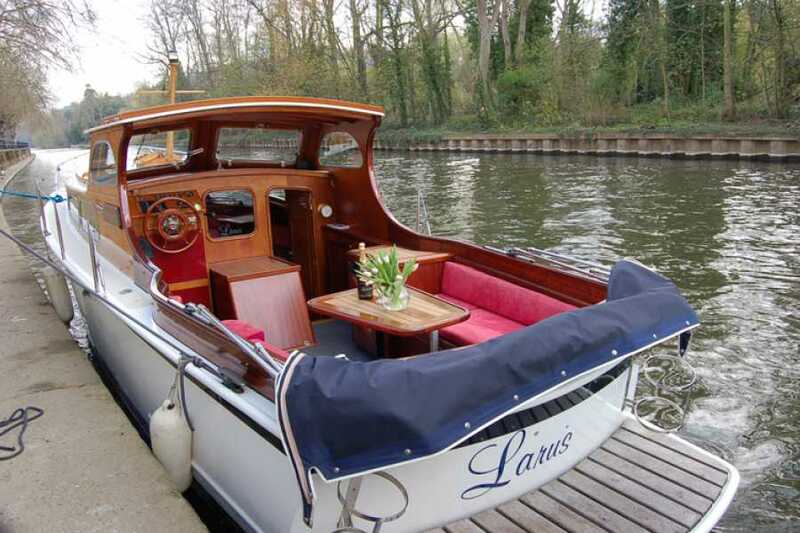 Larus benefits from full central heating, a flushing toilet, a small galley and hot and cold running water. Larus is licensed for 12 passengers. Parties of up to 36 can be catered for by chartering a second, or third boat. She offers boat hire by the hour and is very popular for Birthdays and Anniversaries amongst family groups. 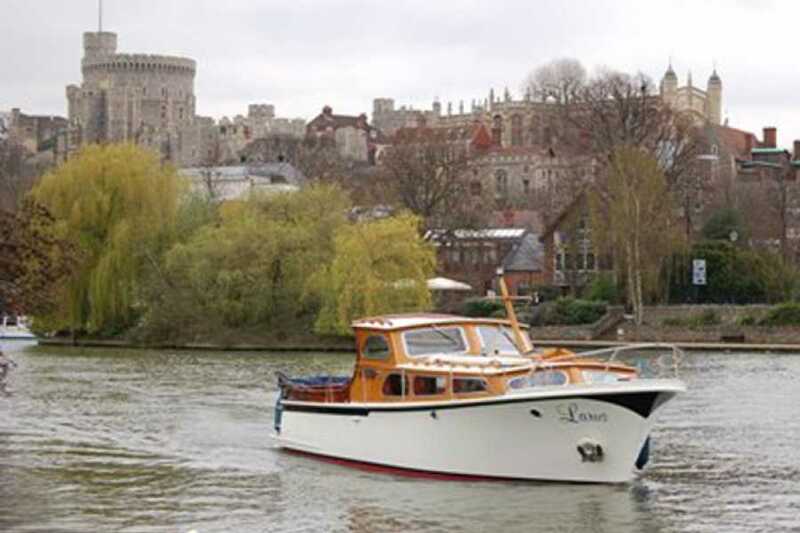 Available for transportation to one of the many riverside restaurants/hotels why not book in at Sir Christopher Wrens House Hotel, Oakley Court, Monkey Island, The Brasserie at Bray Marina or The Waterside Inn. 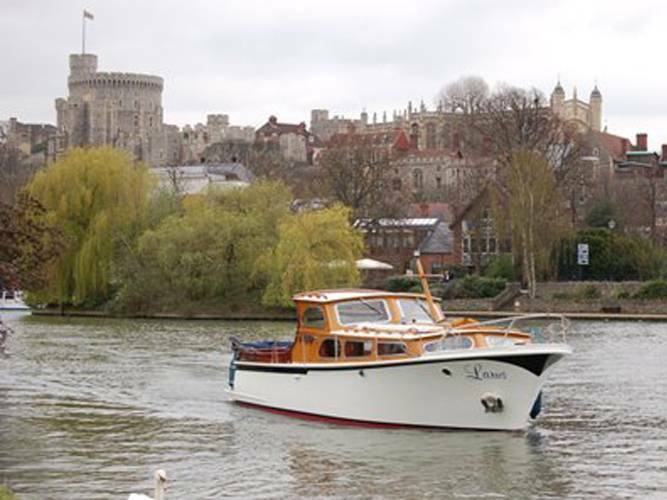 Alternatively Larus can be enjoyed as a venue for a picnic lunch, dinner, afternoon tea or simply sightseeing. Additional hours at any time £75 per hour.